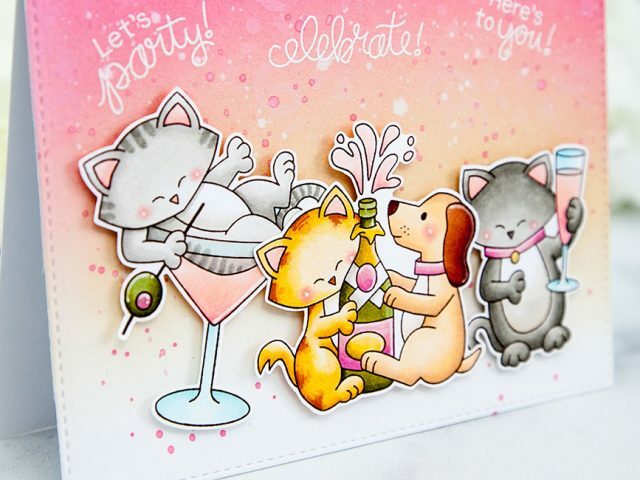 This is a very special week because it’s time for Deck the Halls with Inky Paws Week! Every year, Newton’s Nook bring in a new guest for each of the first four days of the week and hosts a fun bloghop at the end of the week with the design team. 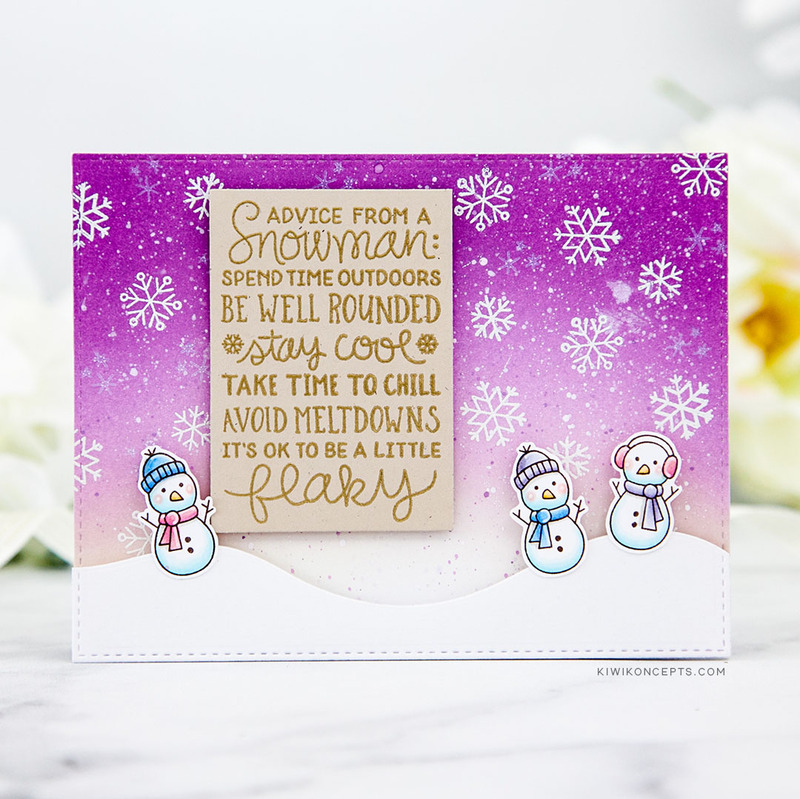 I am thrilled to be invited and to be kicking it off this off with a bright festive card with a little advice from a snowman! 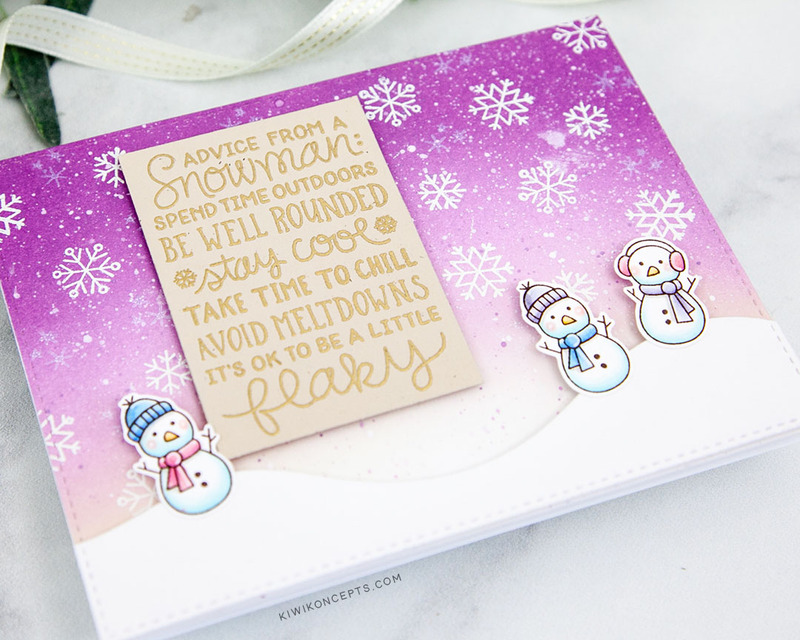 Believe it or not, almost all of this card was done with just a mini stamp set called Snowman Advice. I used every little image in this set! I started with the snowmen, stamped in a dark brown hybrid ink and colored with copic markers. Then I fussy cut each of these images out with my trusty o’ precision scissors. I created a purple ink blended sky with Dusty Concord and Milled Lavender distress oxide inks. I added some splatter of white paint for the snow effect, and then heat embossed various snowflake images from the mini set in white. 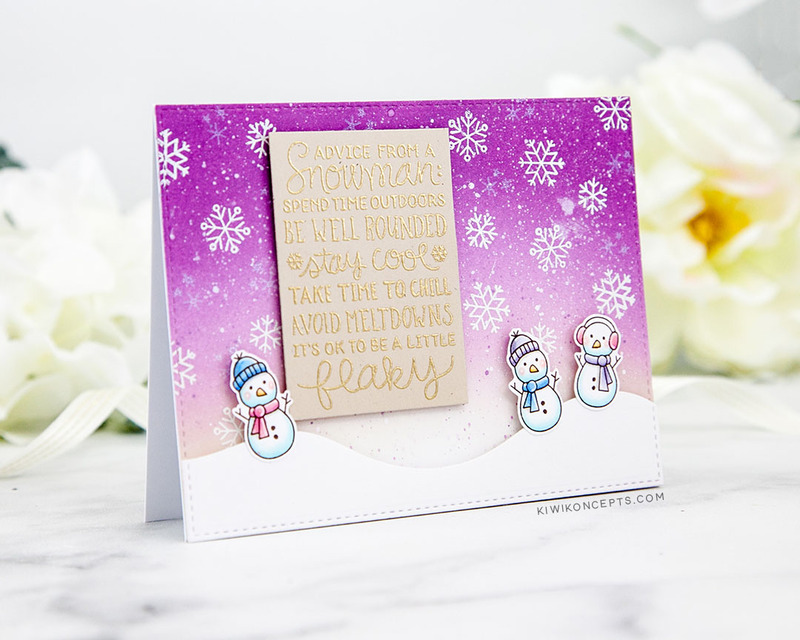 In addition, I also stamped on some of the smaller snowflakes in white pigment ink. I had originally heat embossed the sentiment in white too, but it didn’t come out clearly so I redid it, this time in gold onto some Natural cardstock. I trimmed it down to a fitted rectangle and added it to my card with foam tape. I also die cut an edge for the snow with Snow Drifts Die-namics and added my little snowmen last. 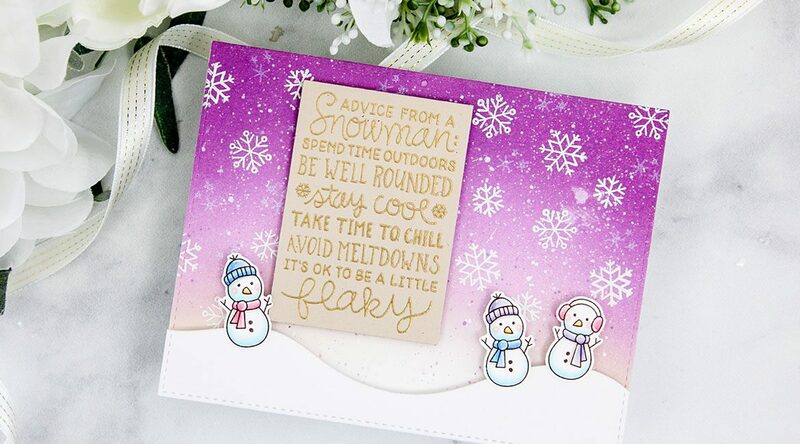 In the words of our dear snowmen: spend time outdoors, be well rounded, stay cool, take time to chill, and avoid meltdowns! Tune in Friday for the fun blog hop with Newton’s Nook!